A field bioremediation assay using the oleophilic fertilizer S200 was carried out 12 months after the Prestige heavy fuel-oil spill on a beach on the Cantabrian coast (north Spain). This assay showed that S200-enhanced oil degradation, particularly of high-molecular-weight n-alkanes and alkylated PAHs, suggesting an increase in the microbial bioavailability of these compounds. The bacterial community structure was determined by cultivation-independent analysis of polymerase chain reaction-amplified 16S rDNA by denaturing gradient gel electrophoresis. Bacterial community was mainly composed of α-Proteobacteria (Rhodobacteriaceae and Sphingomonadaceae). Representatives of γ-Proteobacteria (Chromatiales, Moraxellaceae, and Halomonadaceae), Bacteroidetes (Flavobacteriaceae), and Actinobacteria group (Nocardiaceae and Corynebacteriaceae) were also found. The addition of the fertilizer led to the appearance of the bacterium Mesonia algae in the early stages, with a narrow range of growth substrates, which has been associated with the common alga Achrosiphonia sonderi. 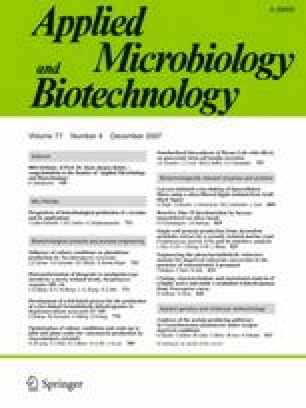 The presence of Mesonia algae may be attributable to the response of the microbial community to the addition of N and P rather than indicating a role in the biodegradation process. The Rhodococcus group appeared in both assay plots, especially at the end of the experiment. It was also found at another site on the Galician coast that had been affected by the same spill. This genus has been associated with the degradation of n-alkanes up to C36. Taking into account the high content of heavy alkanes in the Prestige fuel, these microorganisms could play a significant role in the degradation of such fuel. A similar bacterial community structure was observed at another site that showed a similar degree of fuel weathering. This study was financially supported by the Spanish Ministry of Science and Technology (VEM2003-20068-C05) and by Tank Recovery S.A. (Santander, Spain). Finally, N.J. acknowledges a PhD fellowship from the Spanish Ministry of Education and Science. The authors declare that the experiments discussed in this paper complied with current Spanish law.